If there's one thing we know best, it's water. Our athletes, customers and colleagues told us they wanted a reservoir that delivered more water per sip, with a foolproof design that made it easy to fill up and hit the trail. 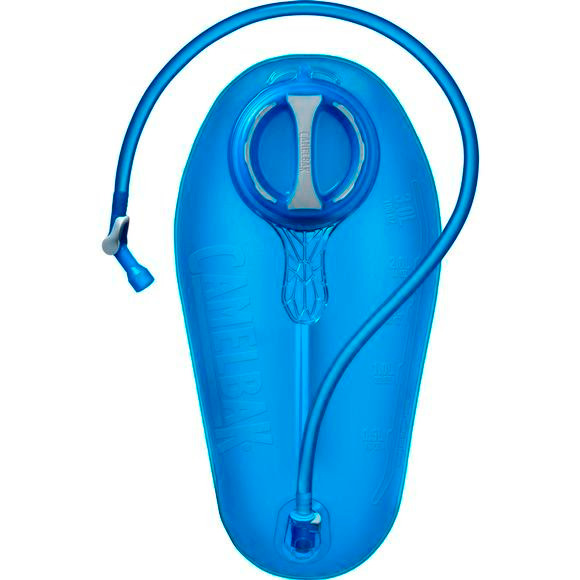 The brand new Camelbak Crux delivers 20% more water per sip, with an ergonomic handle for easier refilling, and an on/off lever that makes it easy to prevent leaks. If there&apos;s one thing we know best, it&apos;s water. Our athletes, customers and colleagues told us they wanted a reservoir that delivered more water per sip, with a foolproof design that made it easy to fill up and hit the trail. The brand new Camelbak Crux delivers 20% more water per sip, with an ergonomic handle for easier refilling, and an on/off lever that makes it easy to prevent leaks. Like all of our gear, we put the Crux through exhaustive stress tests to make sure that it won&apos;t fail you on the trail. 100% free of BPA, BPS and BPF.